Behind her she heard laughter/screaming in metallic voices when she felt she had figured out the petroglyphs story. 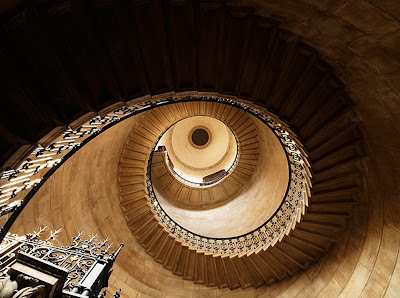 Hearing sounds up the stairs, she gave an optimal chase on the spiral staircase only to witness an UFO’s take-off. When she reached their banquet-hall, she was bewildered to find that all the baskets, filled with pots & cans of Rasagolas (a delicious sweet), were missing! To celebrate #RasagolaDibasa, she had sourced Rasagolas from the best sweet-shops of Odisha- the birthplace of Rasagolas. In another part of the Universe, Rasagolas were making news! As the aliens polished off the Rasagolas in their planet, their polished job delighted them! Love for Rasagolas would make them step out of their comfort zone more often! 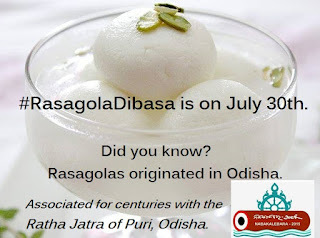 Like Maa Lakshmi and Lord Jagannath of Puri Temple in Odisha & the aliens in this story, do you love Rasagolas too? Do share in the comments below. A delightful read indeed. Greetings! Interesting. I can start a war with aliens for daring to eat my Rasogollas!!! 😃lovely story. I have tasted rosogollas from Cuttack. Yummm....wish I could get them here in Mumbai too. .. I more than love them! I normally have them at will. Wow... I'm impressed... you handled all those prompts beautifully!! Interesting way you brought in the Rasogollas! I love rasogullas!!! Yeah, aliens will surely love them too! Sweet post as Rasagolas.Loved the post as well as the sweet. Aliens love rasagolas! That's very imaginative and a nice amalgamation of so many prompts! Love the mixing of stories, this gave me a great smile of happiness. Wow ..you excel in dealing with several prompts eksaath dear ! Enjoyed ! Wow! What a creative story! I second Kokila, I was looking for a Rasagola post but was surprised looking at the photograph and first few lines but you are a genius to have brought entire universe towards Rasagola!